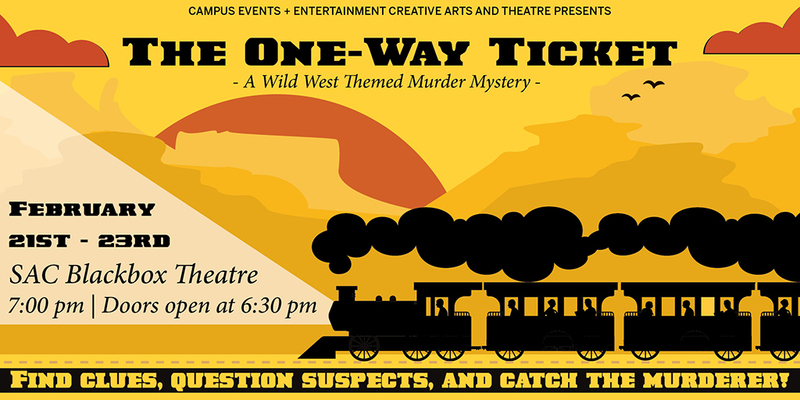 Brought to you by E+E Creative Arts + Theatre, The One-Way Ticket is a Wild West-themed group murder mystery game. Follow the characters, clues, and evidence in order to solve the "Whodunit?" puzzle presented to you. Join us for a Night of murder and mystery!